New InterDiocesan combined Digital Library! Currently we have 10 Diocese who are combining all their current content into one large combined Collection. The new name will be Australian Catholic Education Network Digital Library or ACEN Digital Library. 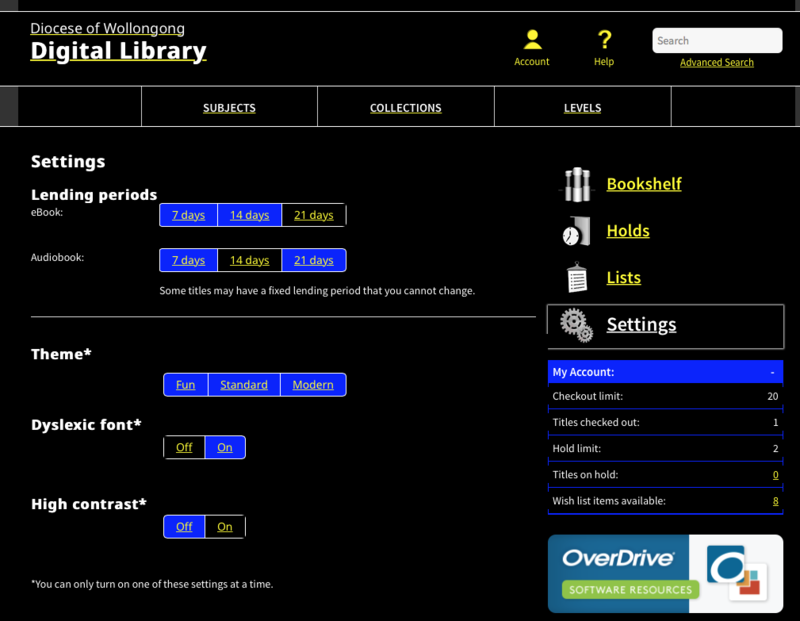 ACEN Digital Library is now active and can be used. Harry Potter and the cursed child — now available! Holy new content, BATMAN! DC COMICS have arrived at Overdrive! The silver screen isn’t the only place you’ll find the Justice League and the Suicide Squad this Spring. From the birthplace of Superman (Cleveland, Ohio! ), OverDrive is excited to announce DC Comics are now available to purchase in Marketplace. Batman, Superman, Wonder Woman, the Joker and Harley Quinn have never been more popular and they’ve all “joined forces” to take on your users on every device, smartphone and computer. OverDrive Read and Listen are the easiest ways to enjoy content from your digital library website. Simply borow the title you want to enjoy and then starting reading (or listening) to them right in your browser. No downloads or apps necessary. Read (eBooks) and Listen (audiobooks) OverDrive Read and Listen recently had an update that will enhance the browser-based reading and listening experience for library users even more. 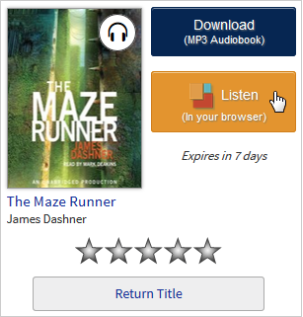 With OverDrive Listen, you can borrow audiobooks and listen to them right in your browser with a single click. There are no downloads or software required; all you need is a compatible web browser. To get started, borrow an audiobook that's available in the OverDrive Listen format from your library's OverDrive website. Then, click or tap the Listen button next to the audiobook on your library Bookshelf to open it in OverDrive Listen. An update to the Overdrive App and the Overdrive website now enables a user to turn on the OpenDyslexic Font across the whole App or site. Users also have the option to turn on Enhanced Contrast. Note: Users can only turn on one of these features at a time. An update to the Overdrive App now includes the OpenDyslexic Font. If you're not sure how to access, watch the Video "How to Borrow and Return Titles" from the Getting Started Link. Some OverDrive Read eBooks have professionally recorded narration that plays along while you read. Select Start narration on any page of any narrated OverDrive Read eBook to begin the audio. The narrator will start reading from the top-left. Many narrated eBooks will highlight words, sentences, or paragraphs as the narrator reads them, so readers can follow along. 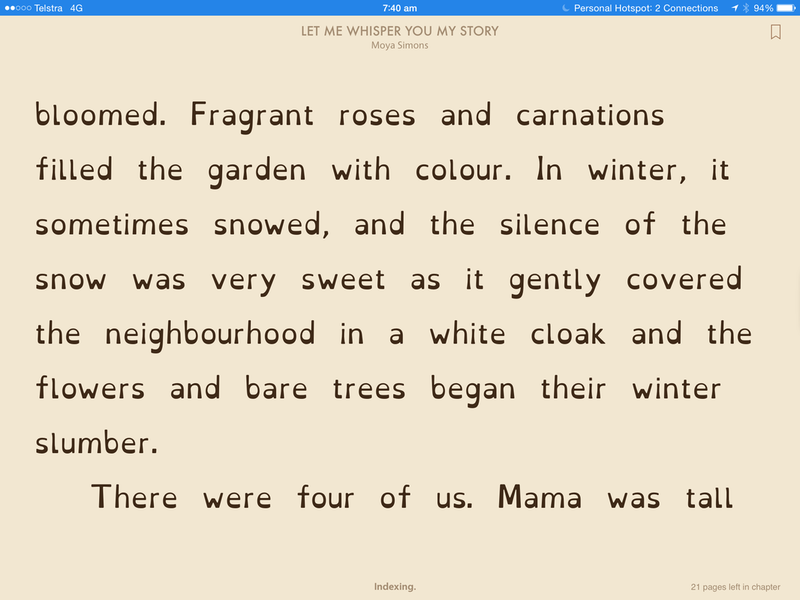 Pages will automatically turn when the narrator reaches the end of the text on the current page. If you'd like the narrator to repeat any word, sentence, or paragraph, simply click on the word you'd like to be read. You can also turn back a page, and the narrator will begin reading from the top-left. To repeat the page you're on, select the first word of the page. Select the Pause narration button at the bottom of the page, if you need to stop reading. You'll find Volume and Speed controls in the Read menu under "Narration." Drag the dial to make adjustments.